Soi Close to My Heart! Authentic, appetizing and inexpensive is the best way to describe the food in "Soi, Eat Thai, Love Thai". This restaurant in Glorietta 2 has an in house Thai Chef, well-designed cozy interiors, and pleasant customer service representing and extending from the Land of Smiles. A friend pointed out just recently how I've disengaged from my chronic Japanese food fascination: she said I was "turning Thai". I sure hope not. But I can't deny I have been splurging on different Thai dishes ever since I came back from Phuket. 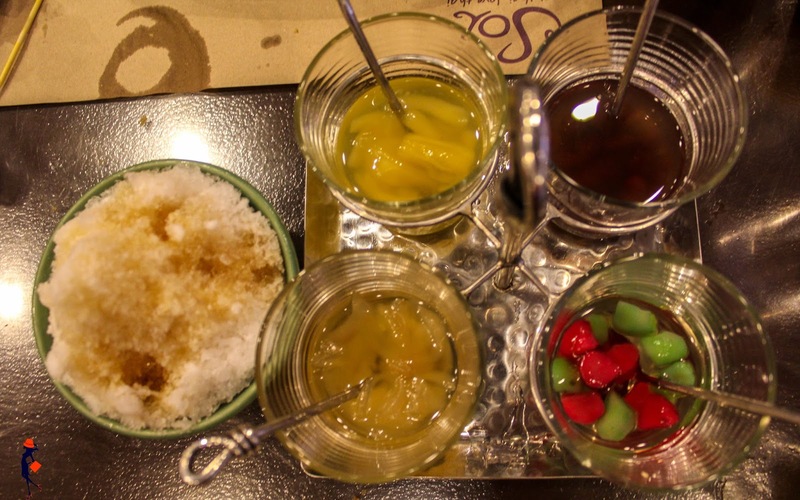 This month, the Thai food obsession continues... at Soi! The manager, the blogger, and the chef! 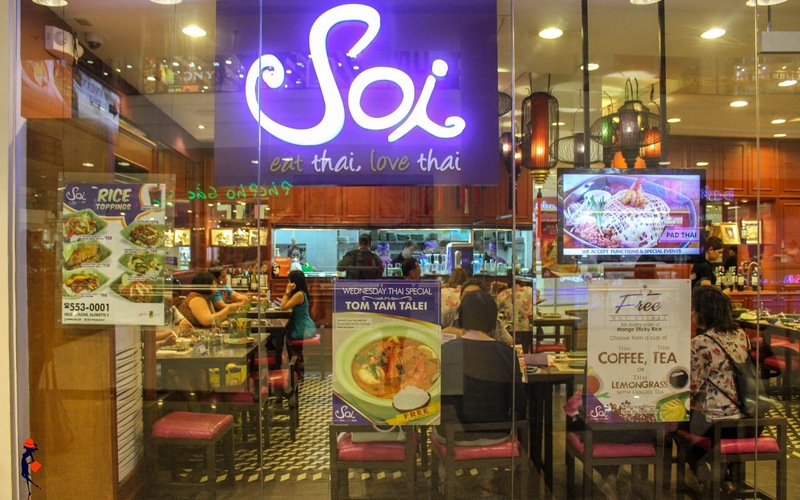 Soi is a Thai Restaurant located within a few minute walk from Ayala station, close to the heart of Makati Shopping district, in Glorietta 2. It’s another dining place owned by Cabalen Group of Restaurants with a small cozy venue, decorated with colorful lamps and fabulous mirrors for a more casual dining experience. 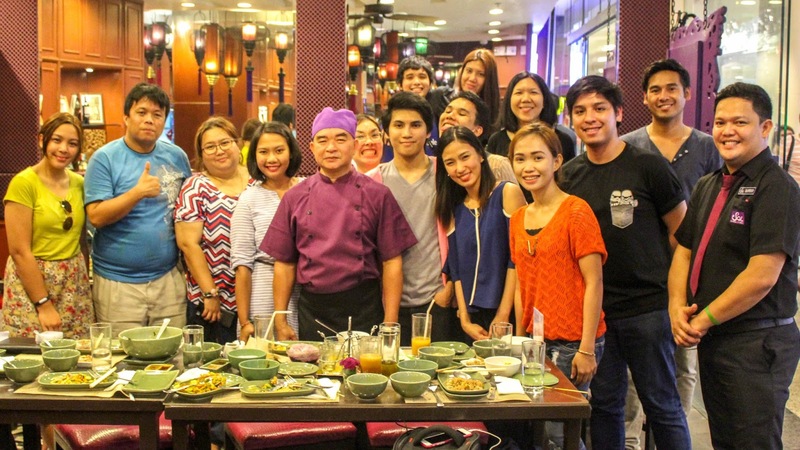 Soi's Thai Chef moved from Bangkok to Manila to follow his passion of Thai cookery. Chef is also behind the authentic Thai menu of BKK Express in UPTOWN MALL in BGC. 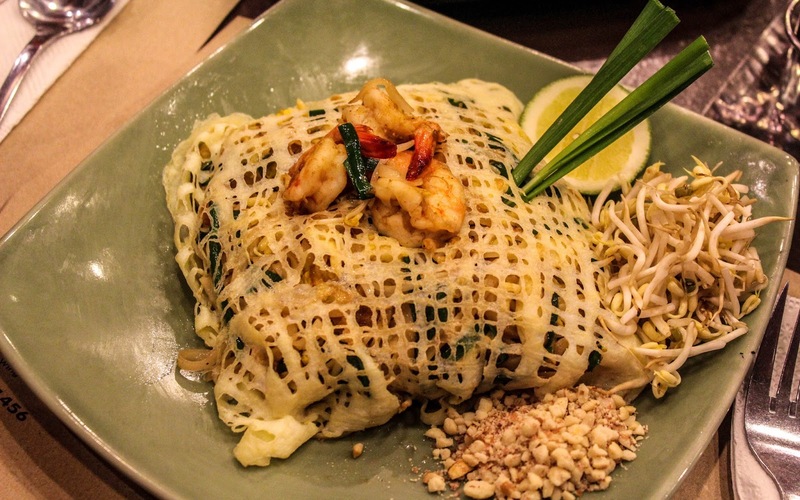 I attended a bloggers’ dinner at Soi recently and we were firstly treated to some excellent noodle soups including a delightfully fine Catfish Salad and my all time favorite, Pad Thai. Also, a very tasty Tom Yum and Bagong rice filled my tummy. Everything I ate paired well with Thai Milk Tea. Fried rice with seafood and basil leaf... another favorite!!! 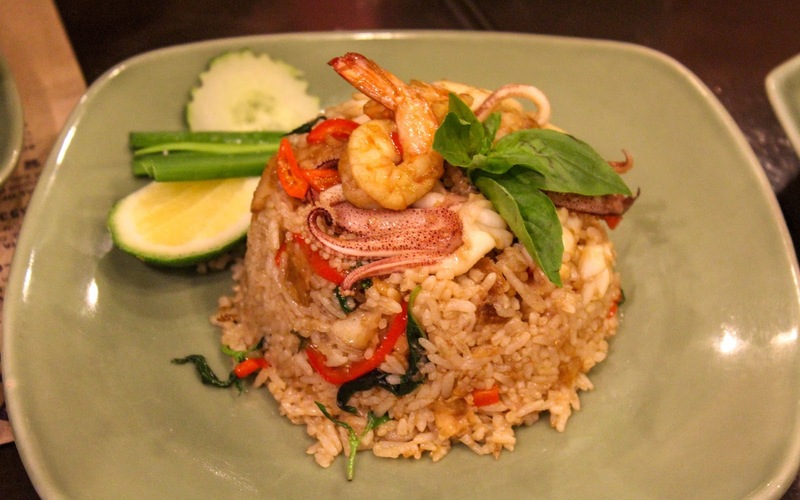 Just like any Thai dish, the ones in Soi Thai menu are appealing to the eyes and even more appealing to the taste, making it easy for anyone to like them. 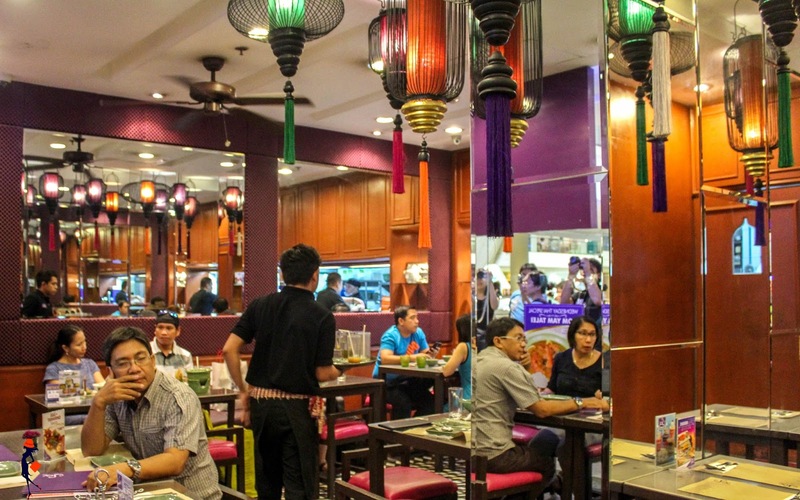 If you want authentic, appetizing, inexpensive Thai food, dine at "Soi Eat Thai, Love Thai". Visit their restaurant at Glorietta 2. 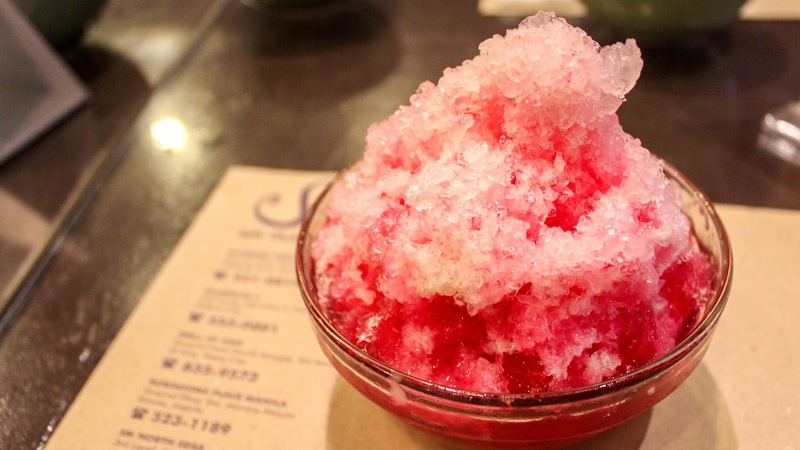 I highly recommend a Shrimp Pad Thai and a shaved ice dessert if you still have some space in your tummy! Have you been to Soi? What is your favorite dish in their menu? Or if not, would you want to dine at Soi and binge on some Thai food? Let me here your comments below! 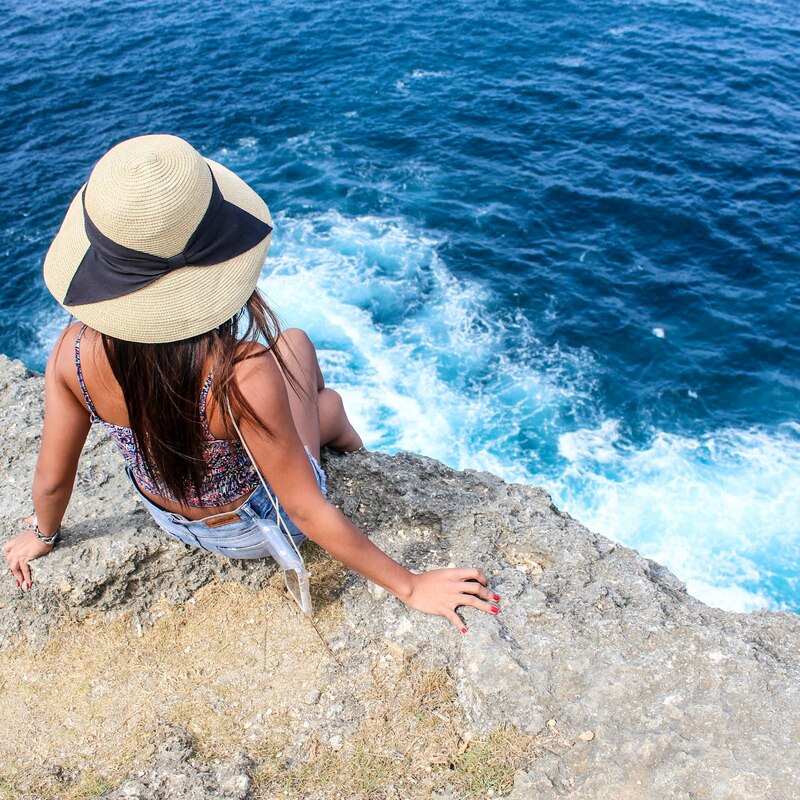 The Girl with the Muji Hat: Soi Close to My Heart!